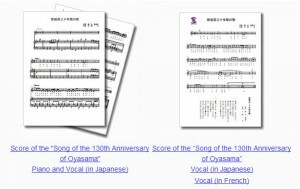 The Tenrikyo Europe Center has released the piano scores and lyrics to for the new Oyasama 130th Anniversary song. 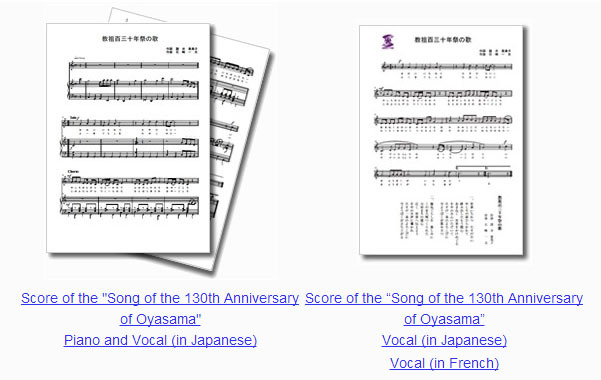 As we come to a close to the end of the first year of the 3-years, one thousand days, there is still much more time to go before the 130th Anniversary of Oyasama. Hopefully, this song could keep our spirits up along the way. Recently, there hasn’t been a lot of activity for TR and I apologize. I hope I can try to continue with TR. We just ran into a major database issue that rendered the website unusable. Luckily, I was able to recover it to its current state. I haven’t heard much news except the Shinbashira’s visit to Brazil this year for the YMA 60th Anniversary event (this year) and Hawaii for the Bishop Installation Service (last year).